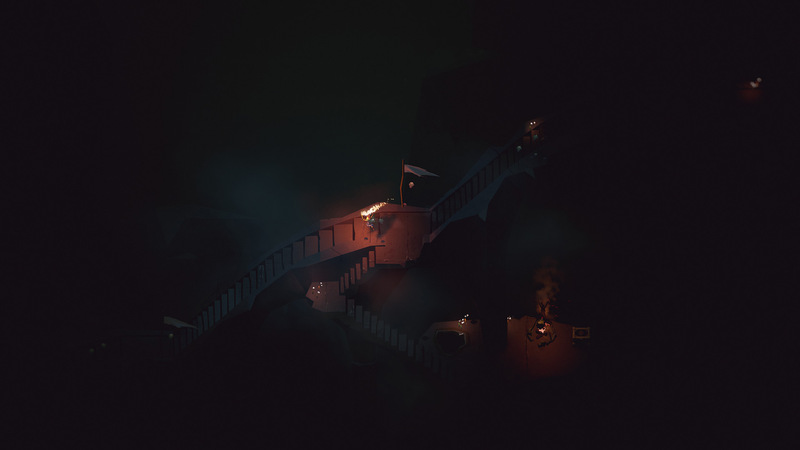 Capybara's dungeon-crawling adventure Below doesn't hold your hand. It can be cryptic and at times obtuse, but then again, it's a game about discovery. Some initial confusion and misunderstandings just come with the territory as you suss out how the systems and mechanics feed into each other. 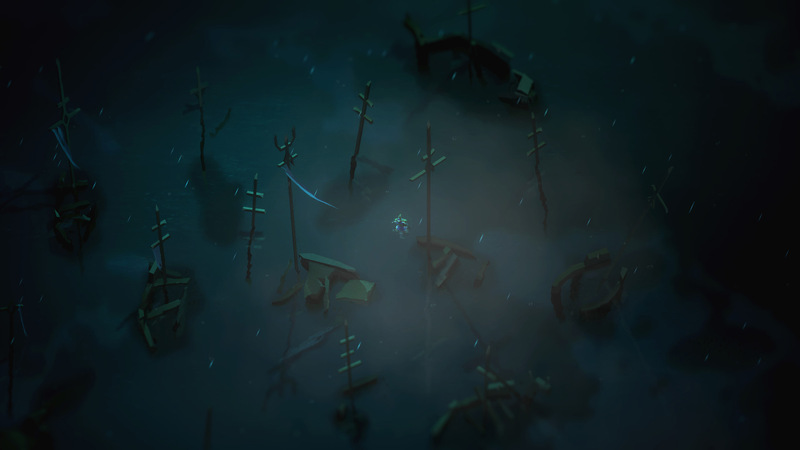 After chatting with Brett and answering some of his early-game questions about Below, I figured my pointers could also be put to good use on Destructoid. 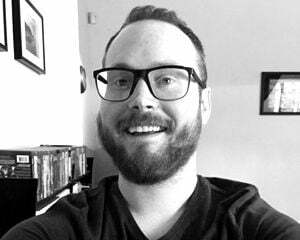 This is by no means a complete guide, and I'm hesitant to overshare since Below revels in mystery, but these tips should help you get started. The game's intro is pretty long. You don't need to press buttons or control anything. Once you get on shore, you have to find a lantern before you can begin your journey below the surface. You'll see several dead ends that can't be opened up yet. Speaking of which, the first shortcut is accessible super early on. I completely missed the secret my first time through and only discovered it hours after it would've been useful. You'll find the entrance after you climb down stairs and see the first underground bonfire (right before you enter Floor 1). Look for a pool of water and head up, then keep heading up through the top of the screen in the next room. 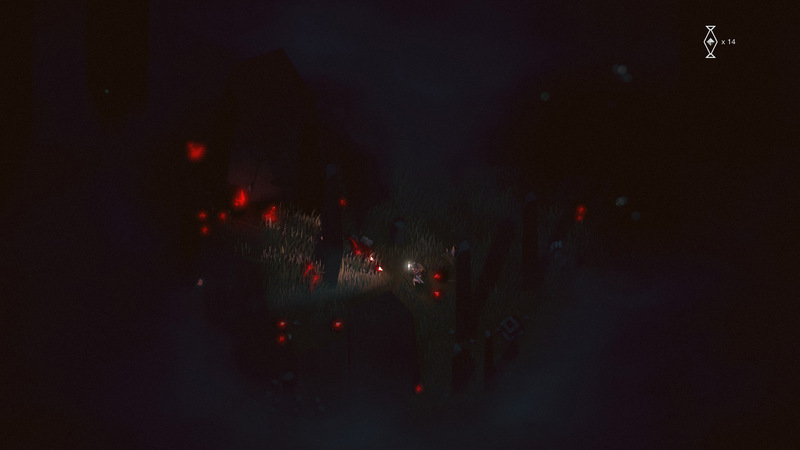 Below has permadeath and some procedural elements. When you die, you will start back at the shore with a new character, meaning it's important not to rush things. While there is randomization to dungeon floor layouts, it can be subtle. Important rooms are always going to look a certain way and be in generally the same spot (e.g., "three rooms to the left of the entrance" or "in the middle of the floor"), but the interconnecting rooms do change from run to run. You'll naturally get a feel for it. The number-one killer is spike traps, which are difficult to notice without your lantern. You can set them off by attacking them, or you can try and coax enemies into stepping on them. Tripwires are less dangerous. Bonus: you can cut them for materials. If you die and are having a hell of a time trying to see without your lantern, find or craft torches. You can't equip a shield and a torch, but you can still wield your sword. You can create a warp point at bonfires. It costs 25 bits of light (the glowing things that enemies drop) and if you did it right, the flames will turn blue. Now, when you die and get a new character, you can interact with any bonfire to warp to your blue bonfire -- but it's single-use, so the trip is one-way-only. The hunger and thirst meters start to matter further into the game. If you're running low, keep an eye out for mice and swarming bats -- they're a key source of food in the depths. You can also hunt down foxes, but they're too pure and good to kill. It's wise to stock up on supplies in earlier floors and craft high-value meals at bonfires. Warmth is also eventually a factor once you've made it several floors down in Below. You just need to create a fire, and there's usually a spot to do so every few rooms. If you suddenly find yourself skipping a bunch of floors, don't panic. This is normal. 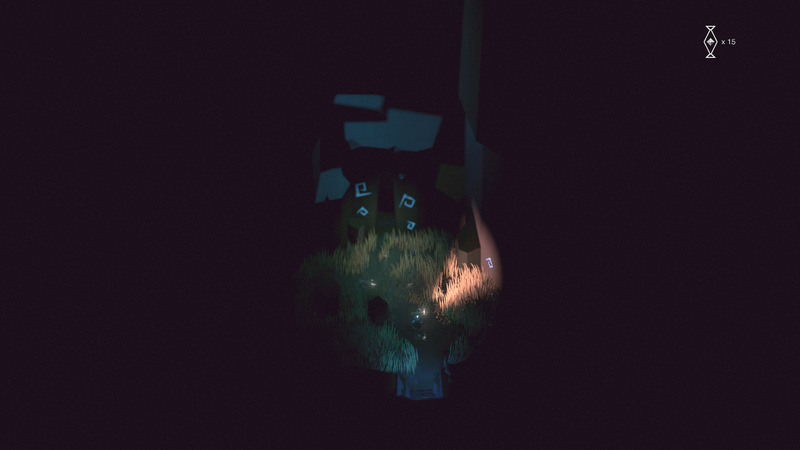 Always keep an eye out for lantern pieces, the main collectible in Below that sticks with you from run to run. When you're near them (with your lantern), they'll become shrouded in a bubble of light. You can break this bubble by focus-shining them. Certain enemies block attacks. You can break them with a shield bash (LT + LT). If you've sustained damage and your health is red, either quickly apply a bandage or get to a fire so you can cauterize the wound. Otherwise, your health will keep dropping. My biggest tip, in general, is to be thorough the first time you explore a floor. Sometimes that means doubling back and potentially dying, but you'll save time in the long run. Having a solid grasp on how floors and shortcuts connect is crucial.